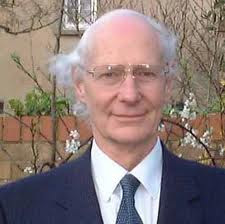 Dr Peter Fenwick- MBA Destroyer! We MBA-ers have a snake in our garden! It’s a man called Dr Peter Fenwick. He’s on the brink of proving that Near-Death Experiences are real. We’ve got to stop him! Debra Schiman lives in Borehamwood, Hertfordshire and she has a condition called Asperger’s Syndrome which means she has trouble understanding the so-called “unwritten rules of society"; this effectively makes her a natural nonConformist. She is a grown woman who has a teddy bear called Bearsac whom she loves very much. She has been featured in several TV programmes and has written a book. She travels a lot and recently went on a tour of the world, but sadly while on a train in Tanzania Bearsac was stolen and she is very distraught and desperate to get him back. Shark Mutiny- the New Lone Gunman? 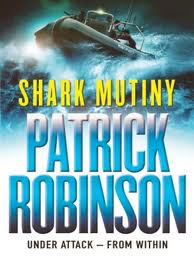 I’ve been reading a novel that has a disturbing theme, Shark Mutiny by Patrick Robinson. It’s about a war started by a terrorist attack by Iran and China. Today HPANWO TV visits one of the saddest places there is in modern urban Britain and asks, as Brian Gerrish does: Why does nothing work anymore? The picture illustrating this page is a still from the film Brazil (Terry Gilliam 1985) which depicts pretty billboards along the side of a road covering up a countryside devastated by pollution and war. This fits in well with the theme of this HPANWO TV film.